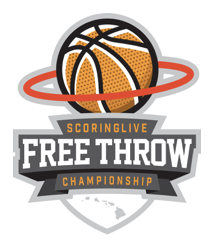 The Great Aloha Sports, Health & Fitness Expo will host the Second Annual ScoringLive Free Throw Championship. Happening at the Neal Blaisdell Exhibition Hall, the event will take place on Saturday, Feb. 16, 2019 at 10 a.m. 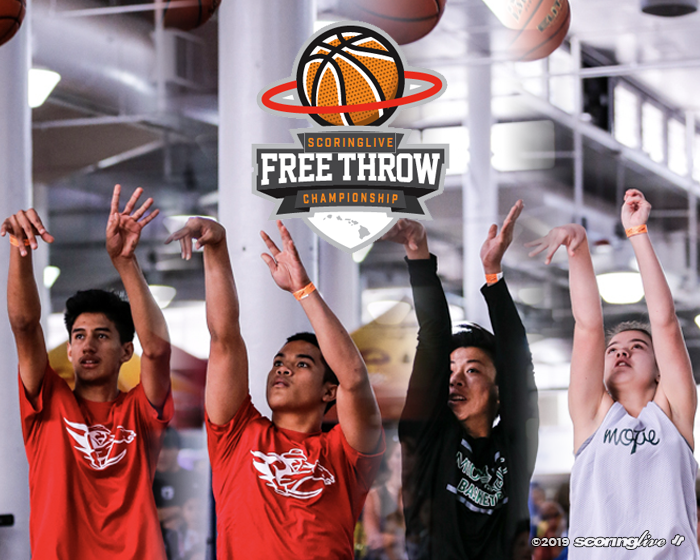 The top eight high school girls teams and top eight boys teams that pre-qualify through the ScoringLive Free Throw Challenge will participate. The two-person team format is a single elimination competition, with the winning girls team competing against the winning boys team for the ScoringLive Trophy. The high schools represented by the boys division winner and the girls division winner will receive $500 each. Defending boys champion, Roosevelt, and girls champion, Mid-Pacific, automatically qualify. See the complete Taco Bell Free Throw Challenge leaderboard here. » Each team will be seeded before the tournament begins. » A team's seed is determined by their rank on the Taco Bell Free Throw Challenge leaderboard. » The contest is a single elimination tournament format. The brackets will be determined by a team's seed as well. » The #1 seed will play the #7 seed, #2 seed will play the wildcard seed (last year's champion), the #3 seed will play the #6 seed the #4 seed will play the #5 seed. » Participants will be given two practice attempts before the start of the round. » All free throws must be attempted from behind the free throw line (15 feet) and inside the circle. » The round will begin once the announcer gives the signal. » Each round will last 60 seconds, with the team making the most free throws declared the match winner. » Once the round begins, one member of the team will shoot for 30 seconds. Following a five second break, the other member will shoot for 30 seconds. Each team is responsible for rebounding their own attempts. » If tied, additional rounds lasting an additional 30 seconds will be played until a winner is determined. During the tiebreaker period, the team will select a shooter to go first, with the shooter rotating for subsequent rounds as needed. » Teams to provide their own regulation basketball for warm-up.